Thank you to new players for joining us. Thank you veterans for your immeasurable contributions. Your support and passion keep us going. Here's to the next 10 years. Excuse me if this is the wrong place to post this. 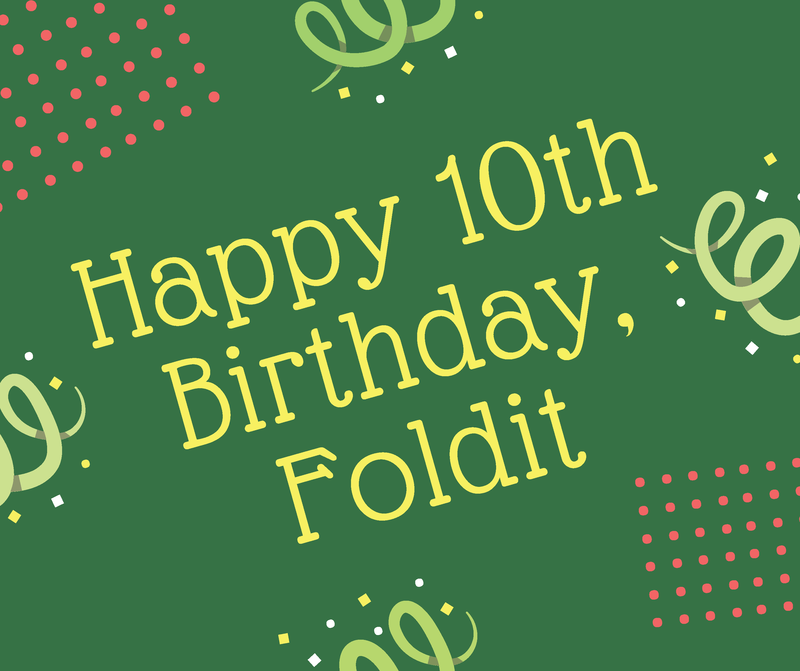 I haven't really used Foldit since 2009. I was one of the first, in general, people to use the program once it was publicly available. Is there too much that has changed for me to bother starting again? Thank you! There are lots of new recipes, some of them pretty complex, but I think the rate of progress has slowed somewhat recently. Check out TvdL enhanced DRW, which has probably spawned a thousand variations. You may also want a "cut and wiggle" recipe of some type and a "banded worm" or another "LWS" recipe for the finishing phases of a puzzle. The mix of puzzles has probably changed a bit, and has mostly settled into a familiar pattern. About a third of the puzzles are "revisiting puzzles", going back to proteins that were presented in the first year or so. Some puzzles types, such as Quest to the Native (QTTN) are no longer with us. The design puzzle category is active. Most design puzzles let you build a complete protein from scratch. The current design puzzles are the symmetry type, where you build one copy of protein and design it to fit with one or more identical copies of the same protein. There are also smaller "binder" design puzzles from time to time, targeting various diseases. There's also usually a de-novo puzzle running. De-novo puzzles usually involve solving a protein with unknown 3-D structure, but the recent de-novos seem to be designed proteins. The Baker Lab has published papers on "parametric protein design" such as High thermodynamic stability of parametrically designed helical bundles, so we may be seeing some lab creations. We have a few player designs (three that we know of) come full circle. They started out as design puzzles, ended up being grown in the lab and "solved" just like natural proteins. Then we saw them again, first as a de-novo puzzle, then as an electron density puzzle. We may be seeing more like these in the future.